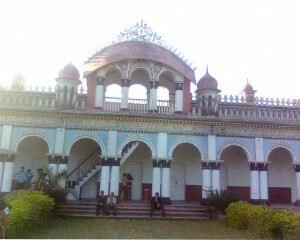 This is locally named as “Shaha Bari”, built by someone rich merchant. The owner of the house left the house during the war 1971 with Pakistan. Before leaving the country, he somehow able to sell his properties. 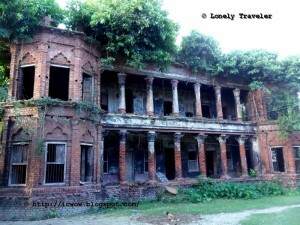 After a few minutes of walking distance from the “Shaha Bari”, there is another old house, and this one is much larger. Actually this is the mansion of the local Zamindar of here. 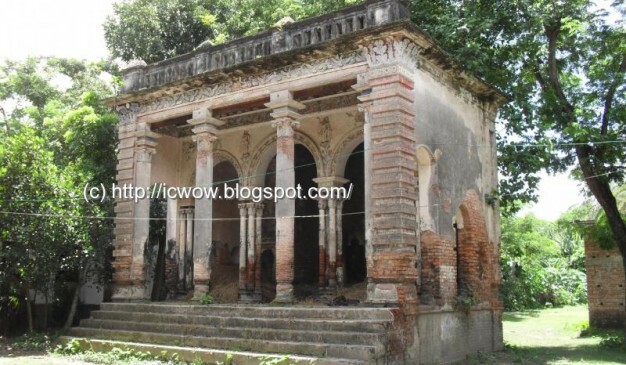 This house is currently occupied by the local “Land Survey” section of Madaripur. 4/5 government employees used to work here. Also the old house is using by the families of these employees. 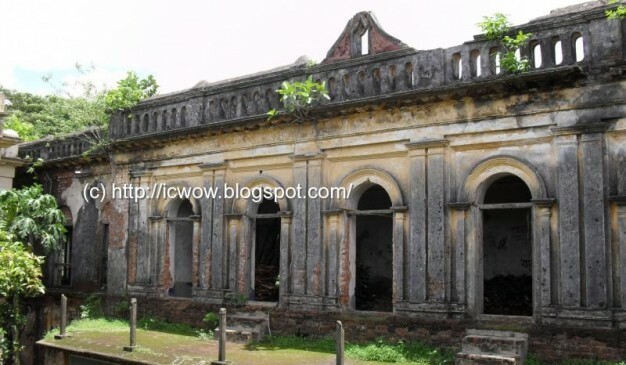 From my observation, this building is not that much older compare to other Palaces from Bangladesh. But still this place is worth to visit. This place is located in Kalkini Upazila of Madaripur District. Referred to how to go to Madaripur from Dhaka, click here. One can start his journey for the monument from Madaripur town any kind of motorized vehicle. We suggest travelers to hire a rickshaw van of take a ride. They can also use CNG to explore the Madaripur. 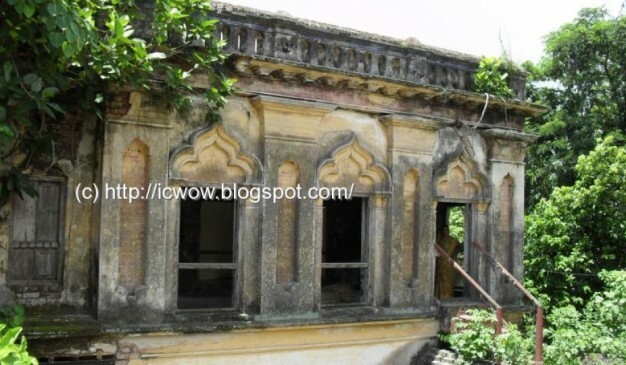 To see the infrastructure beauty of old Hindu Zamindar Bari. Locally the place is known as Moynamoti Ranir Kuthi or Moynamoti Ranir Banglo. According to Bengali textbook, the name is Moynamoti Ranir Bihar. 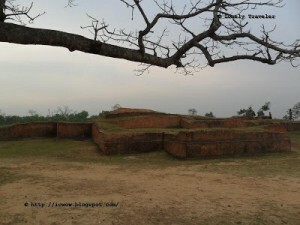 Mainamati’s Palace Mound is the largest and highest mound in the northern extremity of the ridge near Mainamati village, just east of Brahmanbaria road. The Gumti River, identified with the ancient river Ksiroda, has now shifted a few hundred yards to the east, but once flowed along its eastern edge, partly washing its northern and southern foot as well. Its old silted up bed is still very clearly traceable. 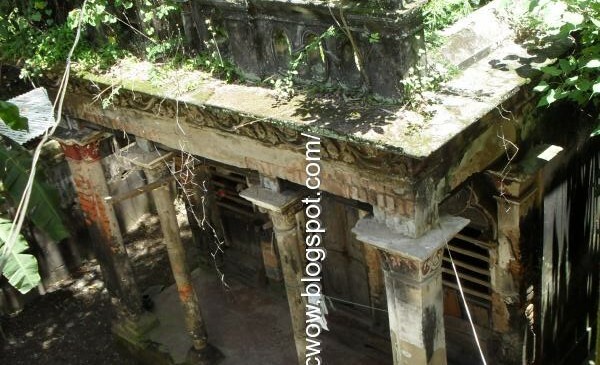 The site has been traditionally associated with the legendary Chandra Queen, Mainamati, mother of the last known Chandra King, Govinda Chandra, and is popularly regarded to have been the last seat of that dynasty. Limited excavations here for a season or two have uncovered part of a massive defense wall round different parts of the site, probably a citadel, and the corner of a substantial structure, probably a palace at the center of the site. Scholars widely regard it as the center of Devaparvata, the capital of Samatata. Arpara Munshi Bari (আড়পাড়া মুন্সীবাড়ী) is located near at Arpara (আড়পাড়া) of Gopalganj district. This is situated beside a man-made straight canal named 'Beel Route Canal'. This is mainly a two stored building and not that much older. 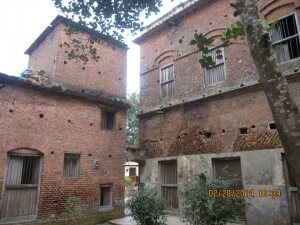 But due to lack of care (and also the owner shifted to new place) it is a haunted house now a days.